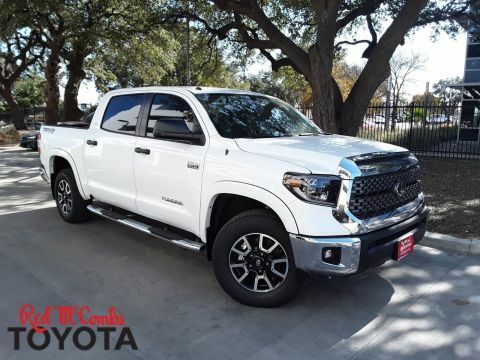 You’ll tackle tough terrain with ease while reclining in comfort when you drive the new 2019 Toyota Tundra pickup. 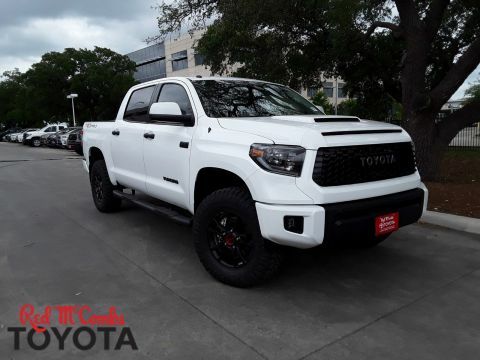 The new Tundra truck offers two engine options to choose between, each generating an impressive amount of horsepower and torque to power your drives. 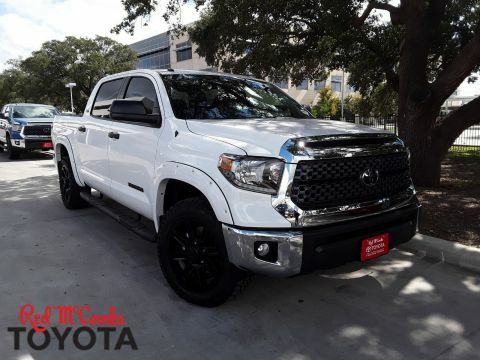 And with the premium new Toyota Tundra interior amenities and sound system, you’ll enjoy your time behind the wheel more than ever. 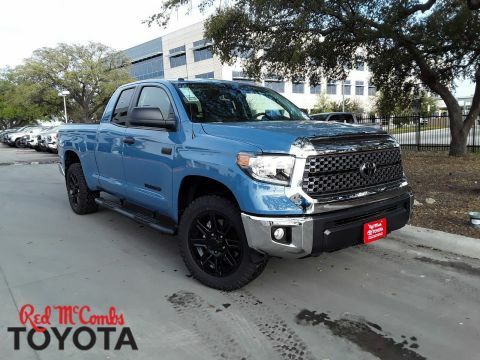 Curious about the new 2019 Toyota Tundra trims? 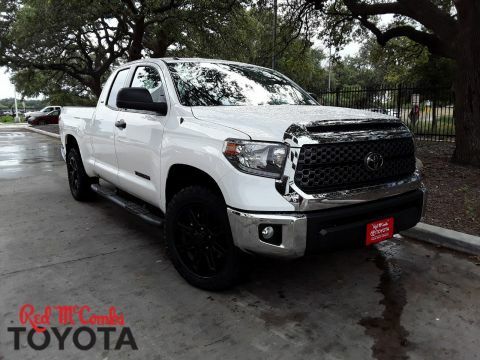 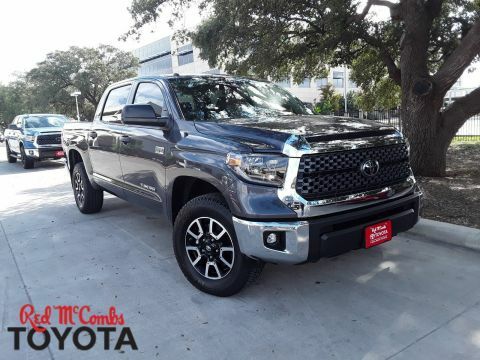 Find out how you can buy a 2019 Toyota Tundra 1794 Edition or lease a new Toyota Tundra SR5 when you visit our Toyota dealership in San Antonio, TX! 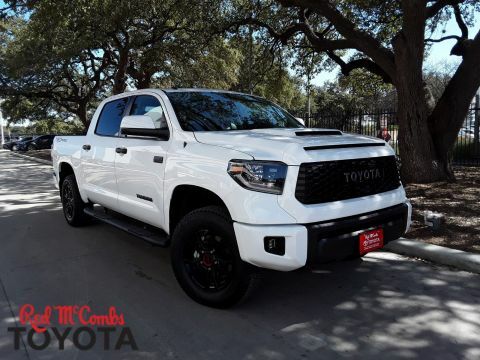 Learn more about the 2019 Toyota Tundra TRD Pro, the new Toyota Tundra Platinum and the rest of the new 2019 Tundra trims when you stop by our Texas Toyota dealership. 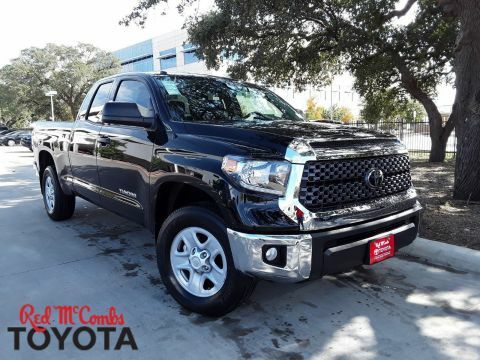 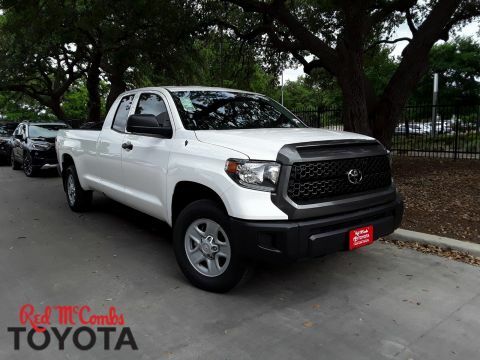 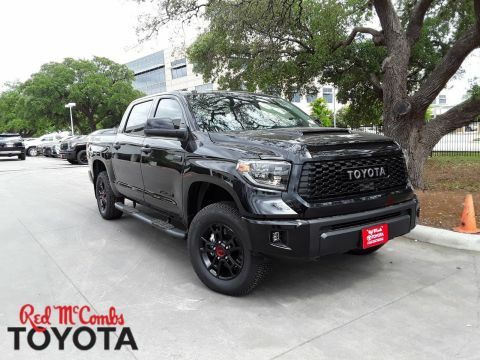 Contact the Red McCombs Toyota finance team to start exploring your 2019 Toyota Tundra lease and loan options!